As promised, here's just over an hours worth of myself and Beat Detective spinning some of our biscuits. I hope you enjoy it as much as we did recording it. Starting with a selection of hip hop tracks to get you open, then we attack the funk crates in search of the perfect beat. 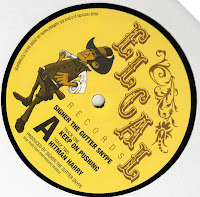 Keep listening as we also have an exclusive peep at SIGHER THE GUTTER SNYPE's new 12" release ..... "Keep on Pushin" b/w "Hitman Harry"
Your buckets got a hole init.. Originally realesed in 1970 "Check You Bucket" is a cautionary tale to keep a check of yourself and check yourself for holes, it is a term that was used around the time so was part of the local culture as well as being an old jazz saying amongst musicians that referred to checking the tuning of an upright piano. There you go,those who thought "Bo" was babbling on about some old rusty bucket thought wrong..
Good work fellas. Great show! On the DL tip as i type. 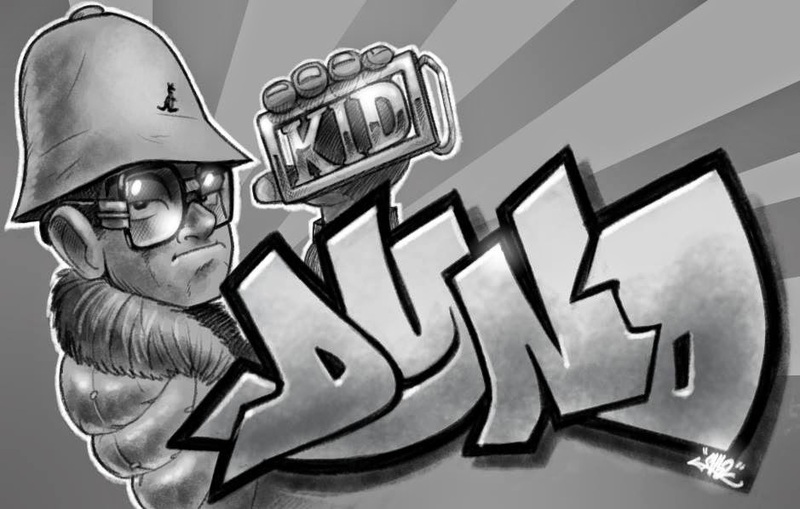 Great idea P, check out BDK - YOUNG, GIFTED & BLACK, where he shouts out some dope artists at the end (i wish that track had come out on a 12")!! Martin, thanks for reminding us,i've had to go back to that one,yep very smooth semi-5%er vibe and ends nicely on a "Peace!" on some ol' laid back "My mello ya know" type ish with the "just go with the flow ya know..in the place to be with my man Marley Marl with the classic 'Divine Force' shout..listening puts chills down the spine still all these years later..most rappers just lack the flavor these days to compete with your Kane's,King Grand's,Lakim's etc.Word! *sorry for 'the show' statement,i may just throw on 'Beat box is rockin'!. Damn!! you guys just killed it!..cant believe I just heard that mental Phase 'n' Rhythm track after all these years of fiending to hear that one again, man that there was a toon!,I heard it for the 1st time on the Capital Rap show..resonating at the back of the brain ever since. Yeah P, KANE comes off real smooth on that track, he even makes giving shout outs sound really dope, one of my fave KANE tracks, dope sample, laid back flow, & dope rhymes..! That PHASE N RHYTHM joint was my request for the show, i love that track, has to be one of the best killer `random rap` records ever..! I know dynO was hyped when he finally added that gem to his crates..! Word! Kane's 'Set it off' got a brilliant outro and my favorite the King Grand style always brings a wry smile to this b-boy's face when i listen to the KAOS album,quotes a plenty "step off suckers!" said in a confident cocky manner all of that fly anti-sucker duck talk.superb.check for Lakim as well his outro's were flavor unit-centric!! 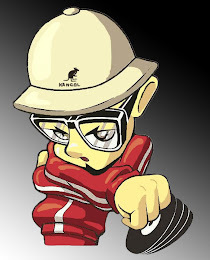 That " What's Poppin " remix is very dangerous...Keep up the good work ya'll....DRASAR MONUMENTAL UZN/NS/GBK.. I gotta get that Phase N Rhythm 12". Gets better every time I hear it. I'm very jealous about that one! I should probably know this already but what was that first Soul tune you dropped that was sampled for Master Ace's 'As I Reminisce'? That's a beautiful record. CRATEDIGGER & P - yes the PHASE n RHYTHM is a stormer of a joint, lots of great samples , fat and funky drums, and stone cold killer cuts and scratches. What more could ya ask for.....? 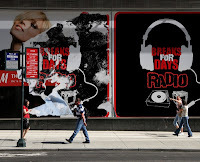 DRASAR glad you like the "Whats Poppin REEMIX" - NUT RAGEOUS likes it too!! Keep up the good work, always welcome up in here. KRUM - it's all good men, that track is ONE MAN BAND by Monk Higgins, on the DISCO SAX LP. thanks fellas - stay tuned! Hey fellas! whats the email address for correspondence please! P.
Hey,when is the next podcast guys? that new SIGHER 12 is proper,so will be getting a copy asap after hearing Dyno play at the end of the last radio show..got the head noddin'! Begs the question:why the hell aren't kids making hip-hop like this in the UK anymore? P.
thanks for passing thru and welcome to BREAK FOR DAYS. Man it would be amazing to hear your PHASE n RHYTHM demos, both your FUNKY TUNE and TOMMY BOY releases are soooo dope! You know how sought after BRAINFOOD / HYPERACTIVE is.